Minor : 2 Courses in another specialization group during 3rd & 4th semesters. Same specialization courses (Major & Minor) to be taken in both 3rd & 4th semesters. AIM conducts two-year full time residential MBA programme with 120 students per batch out of which 80% (96) seats are reserved for Army wards and balance 20% (24) seats are for General category. The admission to AIMK through the Common Admission Test (CAT) conducted by the Indian Institutes of Management. CAT is the first step in the process for seeking admission to AIMK. Based on the performance in CAT,candidates will be called for Group Discussion & Personal Interview (GD/PI) to be conducted by AIMK at Kolkata. Final merit list is drawn up based on the candidate's performance in CAT & GD/PI. Children of ex-Army personnel granted/awarded regular pension, liberalized family pension, family pension or disability pension at the time of their superannuation, demise, discharge, release medical board/ invalided medical board. This includes wards of recruits medically boarded out and granted disability pension. (Submit Certificate No 1). Children of ex-Army personnel who have taken discharge or released after ten years of service. (Submit Certificate No 1). Eligibility Criteria for Children of ex-Army Medical Corps Officers/Army Dental Corps Officers Presently Serving with Indian Navy or Indian Air Force (IN/IAF). Children of only those ex-Army Medical officers/Army Dental Corps officers presently serving with Indian Navy/Indian Air Force who have served with the Army for at least 10 years. (Submit Certificate No 3). Eligibility Criteria for Children of APS/MNS/TA Personnel (Submit Certificate No 3). Children of APS personnel, who are directly recruited into APS who have completed 10 years of service and of those who as per their terms and conditions of service, retired from APS without reversion to P&T Department after completing their minimum pensionable service of which 10 years was in the Army. 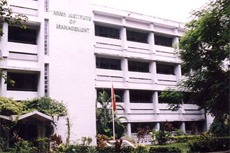 The Army Institute of Management, Kolkata is one of the leading management schools in India. Established on 28 July, 1997 by the Army Welfare Education Society (AWES), New Delhi, the Institute is the first of its kind in India. It has, along with other vocational institutes under the aegis of the AWES, made quality management education available at affordable cost to the wards of Army personnel. Students from general category(20%) can also apply here. Initially AIMK was known as National Institute of Management Calcutta (NIMC). The Institute’s current name was given on 11 February, 2005. The Institute's MBA programme is approved by the All India Council for Technical Education (AICTE) and affiliated to the West Bengal University of Technology (WBUT).